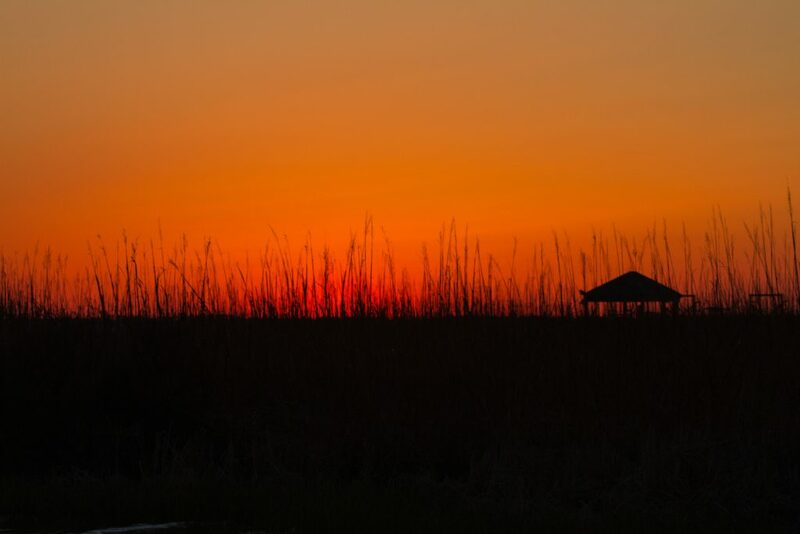 The Outer Banks even during the winter months have some incredible sunsets that you won’t want to miss. 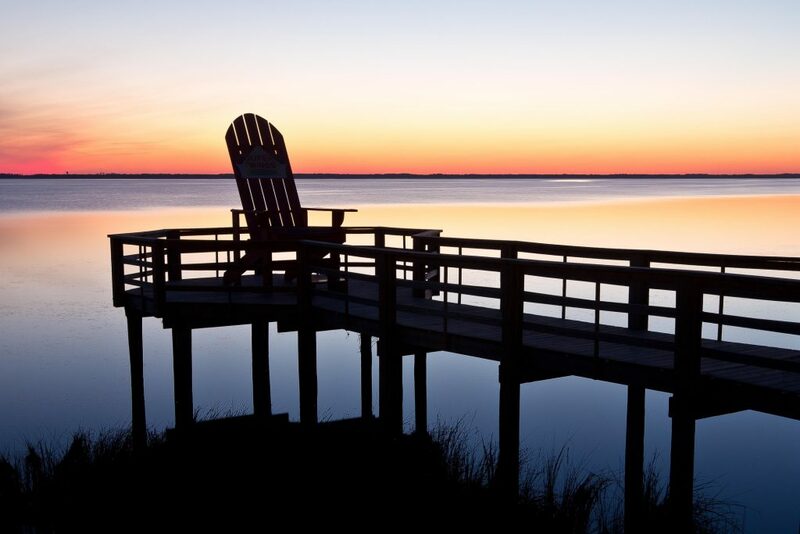 Whenever you stay with us in one of our beautiful Outer Banks vacation rentals, you will be able to watch the sunset any day of your vacation. We have come up with a list for our Top 5 places to watch the sunset on the Outer Banks this year. Located in Currituck is the Historic Whalehead Club, where a beautiful bridge is spanning where the Currituck Sound meets the canal. Here you and your family will be able to take a photo or two of the sunsets while enjoy the bridge in the park. 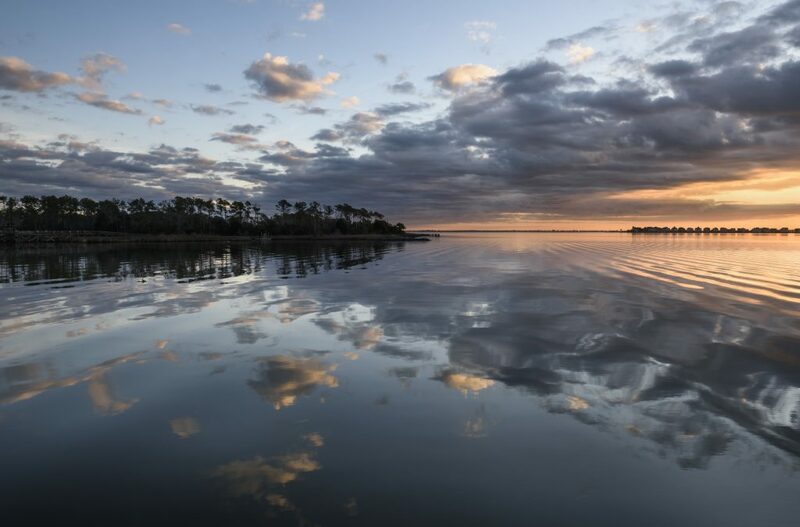 This location is famous to locals who love to take advantage of the sunsets while taking photos of not only the sunset but of other elements such as the Whalehead Club, Currituck Lighthouse and the old live oak trees. This is a place you can’t miss while you are on vacation. If you are looking for an iconic Outer Banks sunset picture, then you need to head over to Jockey’s Ridge State Park located in Nags Head. Did you know that if you climb to the top of Jockey’s Ridge, then you will have a full 360-degree view of the Outer Banks? To the west you will be able to see the Roanoke Sound and the sunsets from this hill are absolutely gorgeous. During the day of course, there are plenty of things for you and your family to do and enjoy, but we promise you that the sunsets will not disappoint! The thought of going to a Harbour can be fun for all those who love seeing the waterway and beautiful scenery. This quaint little boating community of the “Harbour” features miles of canals and gorgeous sound-front homes with boat docks that line the Albemarle Sound. Here you will be able to find the perfect vantage points for watching the sunset and taking those amazing shots of the sunsetting. For a more personal and unique approach to get a close up of the sunset, we suggest possible kayaking or renting a small boat to witness a sunset you will never forget. If you are staying in one of our Duck vacation rentals, then you and your family can head over to the boardwalk. 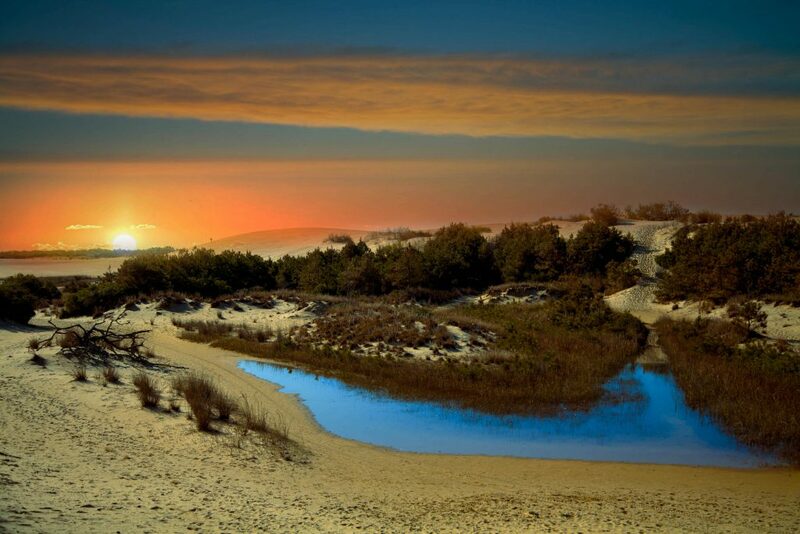 Here you will be able to see a breathtaking view of the Outer Banks sunset. The boardwalk does stretch nearly the entire length of the village and here you can find cute shops and restaurants along the way. Don’t forget to pull out your camera or smartphone to capture the sunset from along the boardwalk. If you and your family would prefer not to travel around the island to get a picture of the sunset, then stay in one of our soundfront vacation rentals. Staying in one of these beautiful homes, you will be able to catch the sunset right from the deck of your rental. This can be perfect for families who have smaller children who don’t want to have to worry about getting them in and out of the car to catch the beautiful sunset. Just kick back and relax from your soundside or soundfront vacation rental on your next vacation to catch a glimpse of the sunset. 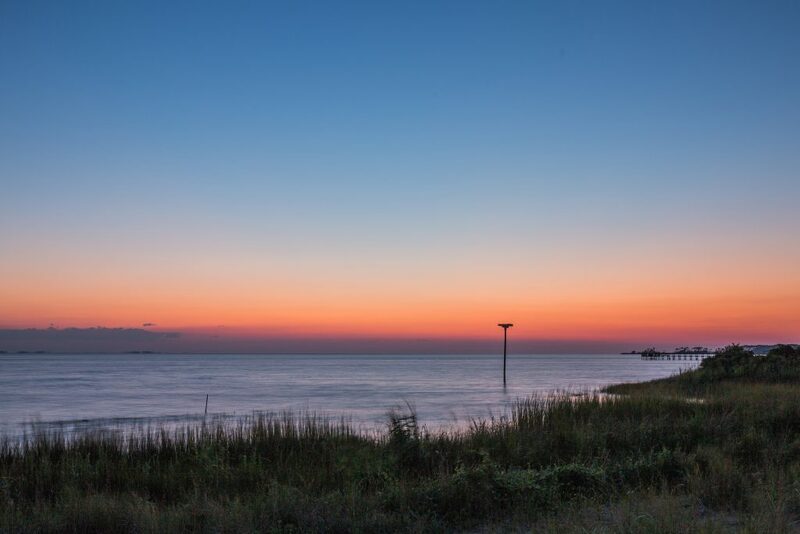 While there are many other locations around the Outer Banks where you can get a beautiful picture and watch the sunset, these are the few that we recommend. If you are still in search of a perfect Outer Banks vacation rental, then please check out our inventory. We can’t wait to see you on your next vacation and hopefully you will be able to take a few pictures of the beautiful sunsets that the Outer Banks has to offer!